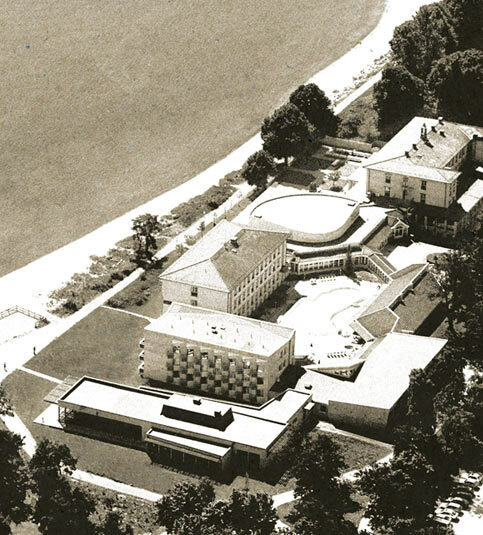 Today, Ystad Saltsjöbad is a hotel undergoing change. Since May 2007, it has had new owners, originating from the hospitality sector. Their small restaurant group includes several restaurants in Gothenburg and Stockholm. Using their extensive experience of concept building, we have now taken the hotel in a new direction towards becoming a New Port-inspired hotel. We have taken advantage of the stunning location, close to the Baltic, while emphasising our superb facilities. The hotel has been lightened and modernised, and we have extended our spa and our meeting rooms. We have also opened a new restaurant, Nero, and developed our large outdoor terrace, which is open in summer. The future looks very bright, and the owners have big plans for this wonderful hotel. Do visit us and follow our progress. 140 rooms, including 2 suites and 10 mini-suites. 286 beds. 13 meeting rooms, the largest seating 324.